A view of many ships during operations outside of Iwo Jima on February 20, 1945. 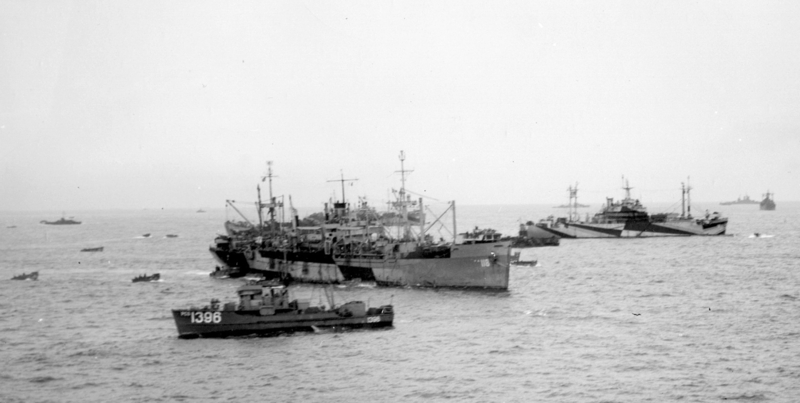 In the middle is seen USS Hendry (APA-118) from the starboard wearing camouflage 32/4T probably in the faded colors of dull black (BK), haze gray (5-H) and light gray (5-L). In the background is an unidentified AGC and other transports; and in front is PCS-1396 directing landing craft. Photo taken from USS Hamlin (AV-15).